BH: It was the easiest way to disappoint my parents at the time. BH: You’re going to see a couple of films but only one with a rap battle duo from another planet. It has only screened at the Bug before and I planned to use it to take over the world but I’m not getting very far with that… yet. BH: I just finished another 48 Hour Film that you missed screening because you’re probably reading this after Sunday. If you’re lucky, it’ll screen at the Esquire in September but then you’ll still have to pay for that privilege. BH: Does it have to be true? I was born without bones. BH: Yeah, why are you doing this to people? They don’t deserve to be treated like this. I’m thankful you provide a platform for local emerging filmmakers to share their work and get feedback from strangers but subjecting them to Battlerap Galactica is just mean! 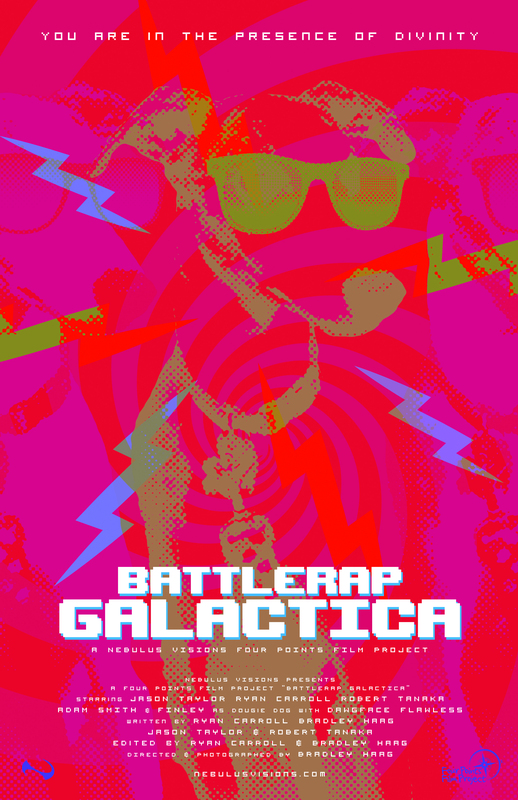 Battlerap Galactica will screen at The Emerging Filmmakers Project on Thursday, August 17th at The Bug Theatre. BH: For all the free candy. 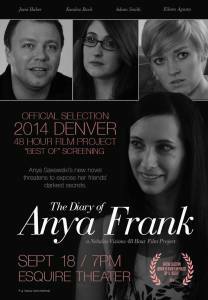 BH: The Diary of Anya Frank screened at the 2014 Denver 48 Hour Film Project “Best Of” at the Esquire with 14 other films. It was awarded “Best Use of Line of Dialog” and next I’m preparing it for its BLU-RAY release. BH: What am I NOT working on? Just premiered Jean Claude Van Damme’s Damn Van to the world and looking to tour it before we release it on BLU-RAY and the internets. I also directed the pilot for The 2nd Unit web-series, directed Risa Scott’s short film Survival Instinct which is now in the editing stage, and I’m producing/filming Eileen Agosta’s feature film Trauma. In addition to preparing all my past films for the Nebulus Visions 15th anniversary next year, I’m shooting 2 seconds of video from my day, each day, as an experiment and compiling a photo from each day into a sort-of photo yearbook. Somehow I’m also finding time for pre-production on the second season of “Reel Nerds Podshow”. Oh, that’s reminds me! I also do a podcast each week called Reel Nerds Podcast. BH: If you play them backward you’ll hear a recipe for pie. 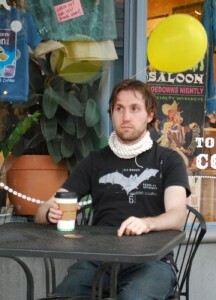 BH: They can meet me at the Roostercat for tea, my weeknights are pretty open now. Or just go to nebulusvisions.com to watch my films or browse my portfolio. BH: It’s at the Bug Theater! It costs $5 and starts at 7:30! 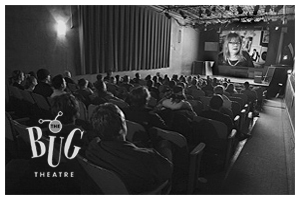 The Diary of Anya Frank will screen November 20th at The Emerging Filmmakers Project. 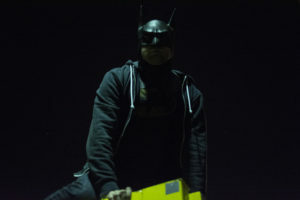 It’s been a little over a year since the EFP was introduced to the filmmaking stylings of one Bradley Haag, and since then we’ve been treated to a wide variety of films showcasing his many, many talents. 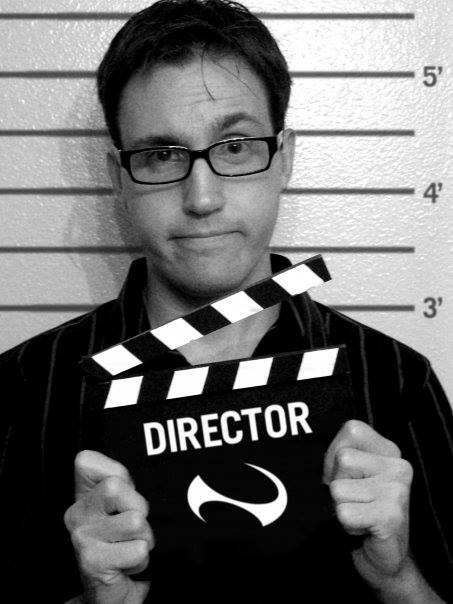 Brad will be bringing the latest in the Reel Nerds Podshow web series to the October EFP. Eileen tracked him down recently to chat with him about his film and the EFP, all while trying to avoid being caught staring at the rusty tools in the backseat of his car. EA: Why did you become a filmmaker? BH: I became a filmmaker because the devil told me to. EA: What are we going to see at the EFP? Has it screened elsewhere and what are your plans for it? BH: Reel Nerds Podshow Ep. 2: “Extra-terror-estrial”. It has also screened at Open Screen Night. I plan to finish the 6-episode season and release it on Blu-ray/DVD so I can pass it out on Halloween instead of candy. EA: What else are you working on? BH: Currently, I’m finishing the rest of the Reel Nerds web-series and co-producing Eileen Agosta’s feature Trauma. And torturing people in my basement. EA: Tell us one weird thing about you and/or your movies? BH: My movies might be haunted. EA: Where can people go to find out more about you and your work? BH: At nebulusvisions.com and at the marble tombstone at the cemetery where the moonlight illuminates the cross so that the vampires stay buried. EA: Is there anything you’d like to say about The Emerging Filmmakers Project? BH: Boo! But I mean that in a scary/Halloween themed way. 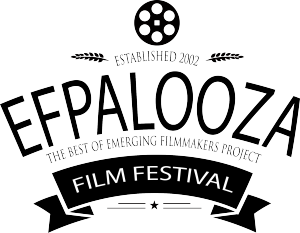 The EFP deserves applause for bringing the filmmaker community together to share and learn from one another. Reel Nerds Podshow S:1 Ep. 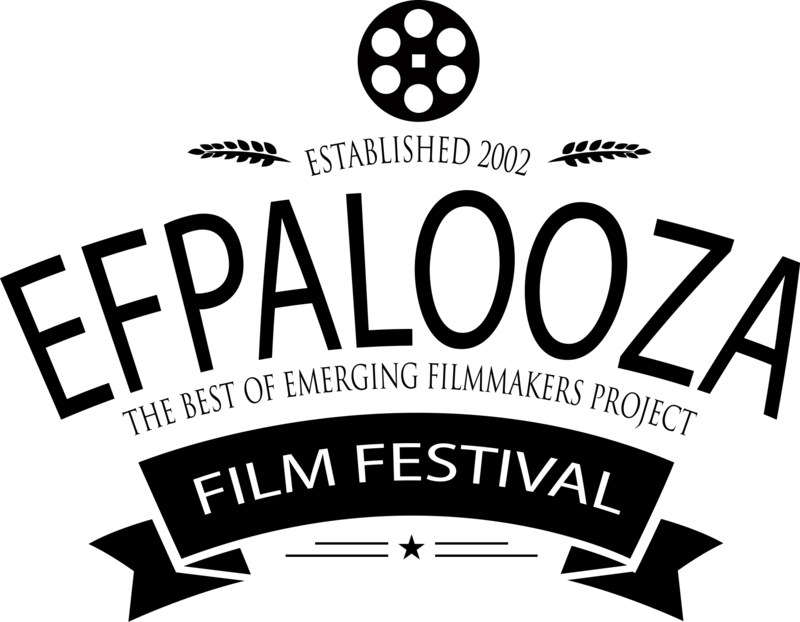 2 “Extra-terror-estrial” will screen October 17th at The Emerging Filmmakers Project. In celebration of the Halloween season, The Emerging Filmmakers Project (EFP) presents a night of scary short movies and trailers!